While I enjoy cooking it’s usually at the weekend that I’m able to set aside the time to do something a little bit more elaborate or time-consuming. 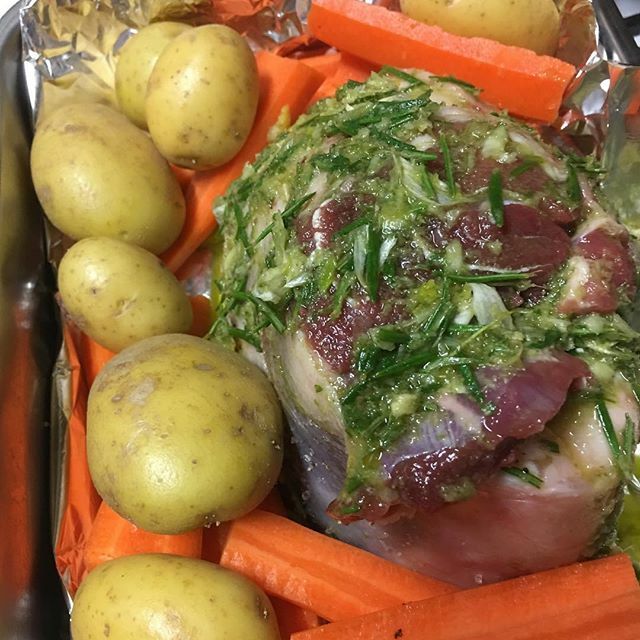 This weekend was no different and I picked up a bit of leg of lamb on Friday evening planing to cook it either Saturday evening or this evening, Sunday. As things turned out I ended up leaving it until this evening. 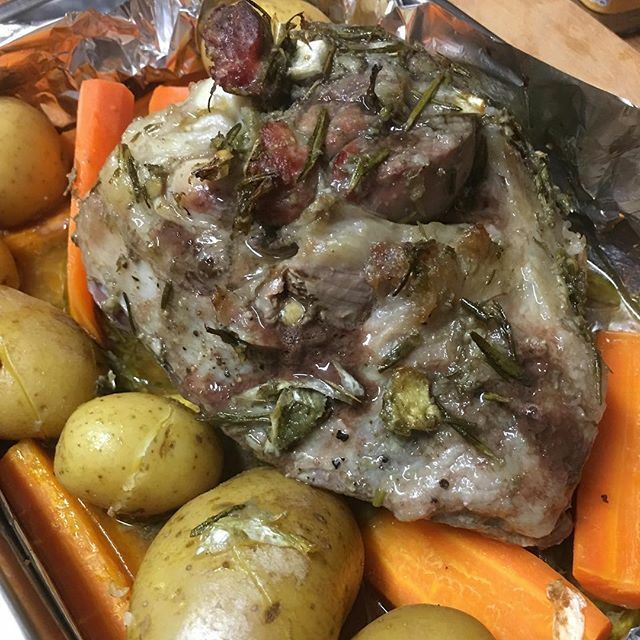 I’ve done lamb roasts several times in the past. I usually slice up some garlic and put slivers of garlic into the meat and then brush mustard and herbs over it. However I was a bit inspired after watching this video on using a mortar and pestle from Jamie Oliver, so I decided I’d try to do a marinade based on one of his recipes. So I dusted off my mortar and pestle (literally!) and got to work. The marinade I made used some fresh rosemary, a couple of cloves of garlic with their skin, some lemon rind and olive oil. I’ll admit that Jamie Oliver makes it look a lot easier than it is, but like everything I guess it’s a matter of practice. After some pounding and grinding with the mortar and pestle I got a fairly nice consistency and kept adding oil until it had enough volume to be of use. I then proceeded to coat the meat in it. 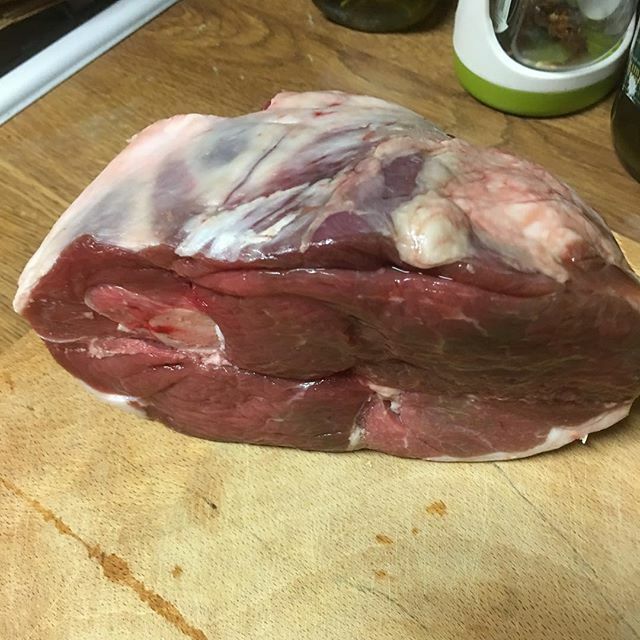 For smaller cuts of meat it’d be quite easy to make up enough to let the meat soak in it for a while, but with a roast that wasn’t going to be an option. I also decided to try and flavour the meat using some coarse sea salt and black pepper. The simplest way to do that is to put the salt directly onto your board or work surface and roll the meat in it. Doing it the other way around really doesn’t work! To accompany the meat I had some baby potatoes and nice fresh carrots. The potatoes didn’t need any prep, so I just popped them in the roasting dish. The carrots I peeled and sliced up, so that they’d cook properly. I let the entire thing cook for about an hour or so and then checked to see how the meat was coming along. Personally I prefer my meat to rare or medium rare if it’s beef. For lamb I like it to be bêlant ie. still quite red where possible. Why bêlant? Over 20 years ago when I was working as a waiter in a restaurant in France one of my clients requested his lamb “bêlant” and the term has stuck with me ever since. The term comes from the French verb bêler, which means “to bleat”. Plated up it was a very tasty dinner! So was the mortar and pestle worth the effort? Based on my experience with the marinade for this dish, most definitely. I can’t see myself using it every single day, but I’ll definitely be trying to use it more frequently in my cooking, as it does help with the flavour of the herbs and other ingredients. 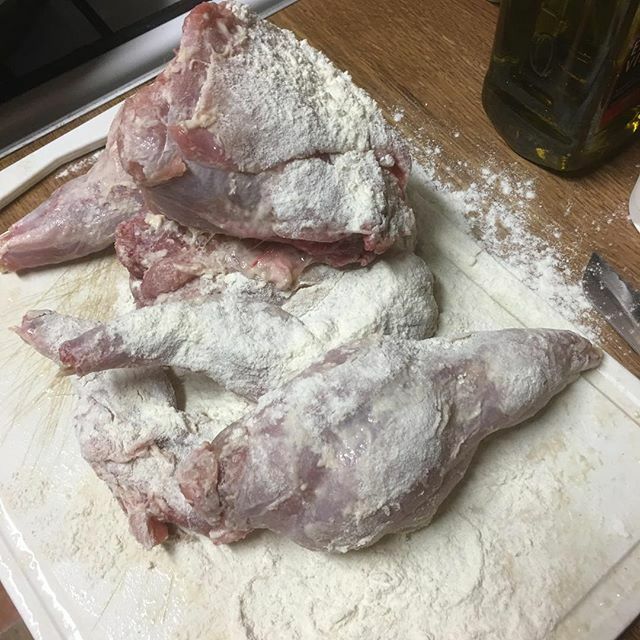 As a child we didn’t eat rabbit that often. I do, however, remember having it one time and getting a mouthful of buckshot! At least I knew the rabbit was freshly hunted! Over the last few years, however, I have eaten rabbit several times in restaurants in France and Belgium. Getting rabbit on a restaurant menu in Ireland, however, doesn’t seem to be that common. You can get rabbit to cook at home, but to do so you either have to rely on friends who hunt rabbits or shops that stock imported rabbits. Yes, we actually import rabbits from other parts of Europe, as there currently aren’t any commercial rabbit farms in Ireland. 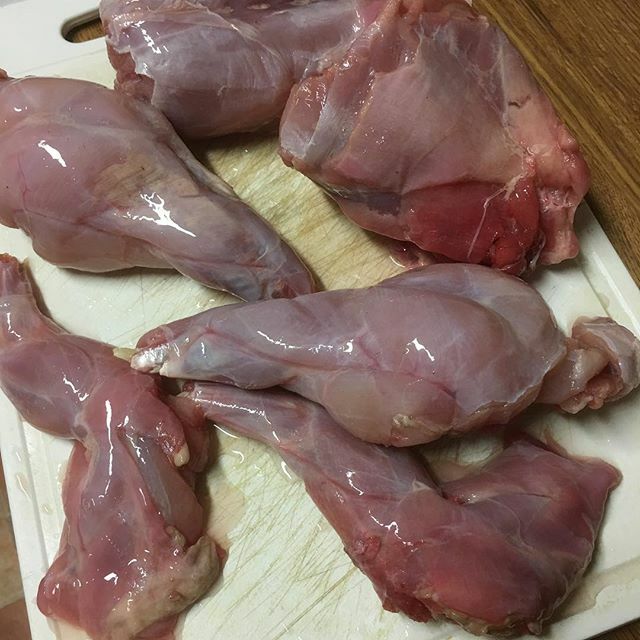 Some butchers do stock wild rabbit meat, but most don’t. In my case one of my staff was able to get me a wild rabbit. Luckily for me they’d already skinned it and chopped it up a bit. 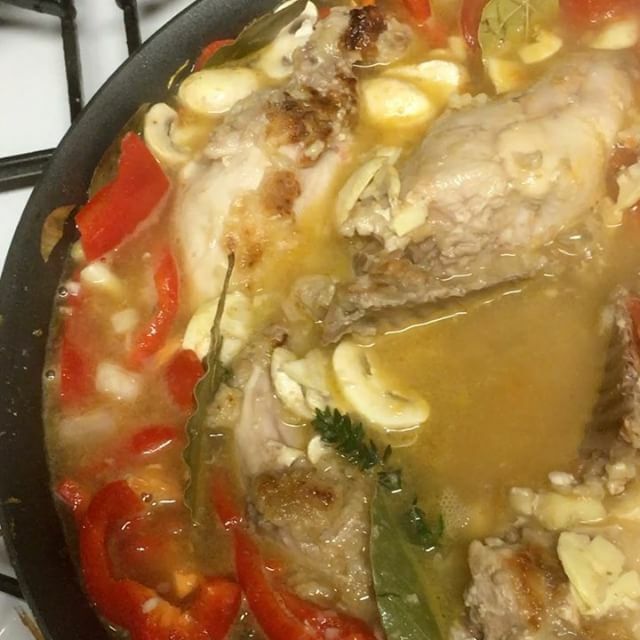 I like Italian style cooking so I made a “cacciatore” style dish with mine using a combination of Elise Bauer’s recipe and Antonio Carluccio’s “Coniglio alla Cacciatora”. I wasn’t sure which recipe to go with so I ended up combining them, as I’d already bought (or acquired) the ingredients for both. 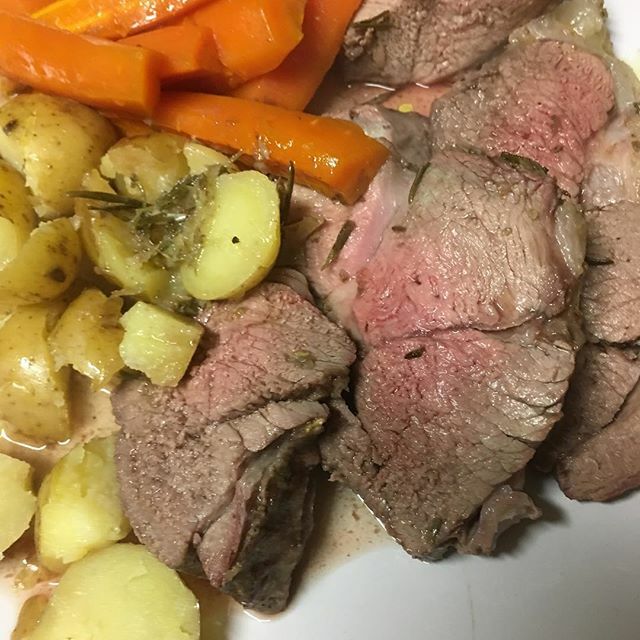 I love cooking with fresh herbs so I was delighted to get a nice big bunch of fresh rosemary from a friend’s garden, which combined with a few cloves of garlic add plenty of deep flavour to the meat. 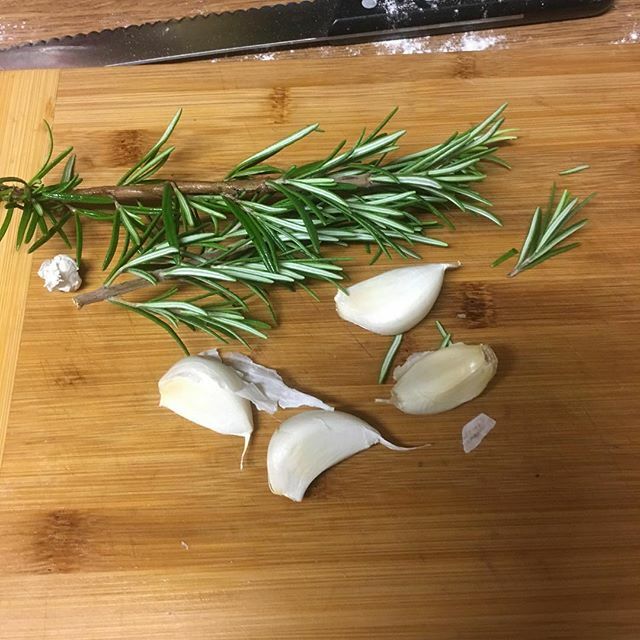 The rich aroma of rosemary and garlic filled the kitchen, which is probably one of the reasons I enjoy cooking so much. Sure, I enjoy eating the food, but I really love the deep aroma as the food cooks. 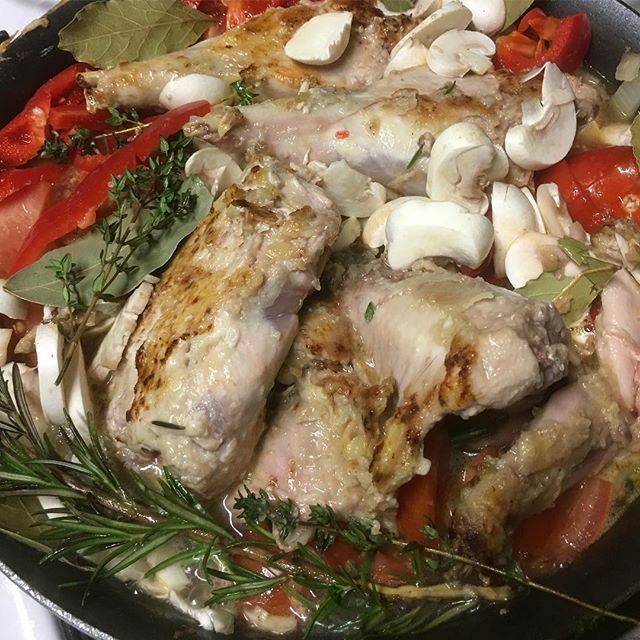 Now to make it all the more interesting, and isn’t that what cooking is all about, I added about 2/3 of a bottle of dry white wine, as well as some tomatoes, some bay leaves, peppers and mushrooms into the pan and let it all cook for about an hour. As an aside, I don’t usually drink white wine, but it would have been rude to ignore the glass or two of wine that was left in the bottle, so I obviously drank it .. If you’re not a white wine drinker this guide is handy for helping select the right kind of wine for cooking. I use a very big and quite heavy pan with a tightly fitting lid for a lot of my day to day cooking, as it’s very good at doing these kind of stew type things. Sure, I could cheat and use a pressure cooker, but for something like this I thought the extra investment of time in the cooking was worth it. 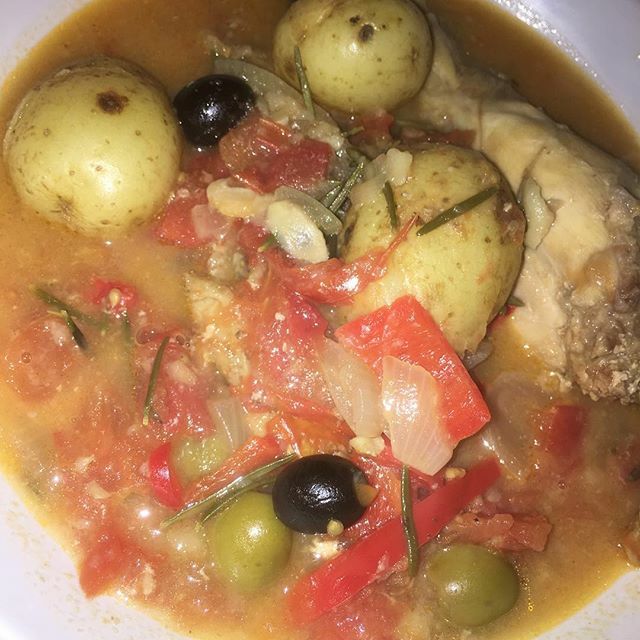 A few minutes before serving I added a few black and green olives into the stew which adds a bit of colour and even more flavour. 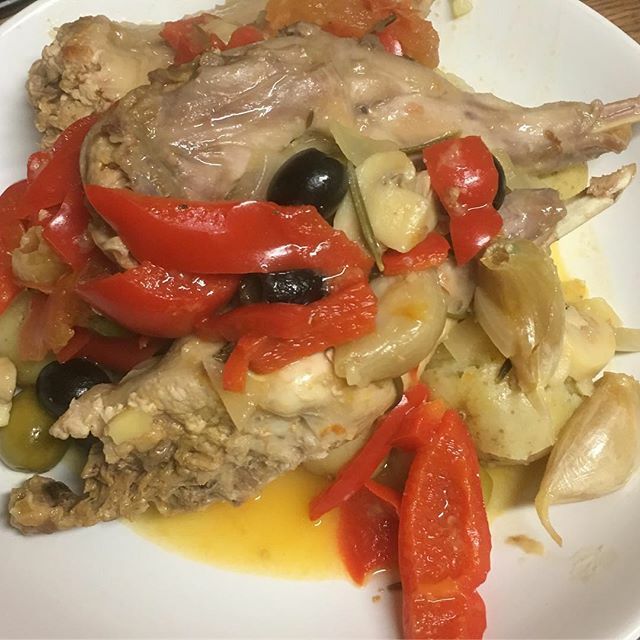 After about an hour the rabbit was ready and I served it with some boiled new potatoes. There was enough left over for a second evening’s dinner, which saved cooking! Overall I was very happy with how it turned out. 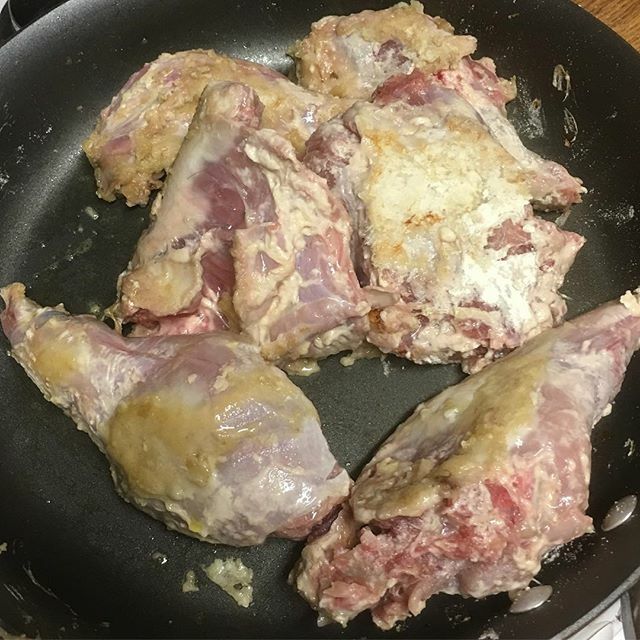 A few things I learnt, however, rabbit is a bit like chicken, in that there are some parts which are quite bulky but don’t have much meat. You’ll get most of the meat from the legs. The meat is pretty tasty and quite similar to chicken, though a lot more “gamey’. I’ve no idea when I’ll be able to get my hands on a rabbit again, but I’ll definitely cook it again if I can. If you like cooking you’ll probably end up adding a mortar and pestle to your cooking arsenal at some point. I know I did. But how do you use it properly? 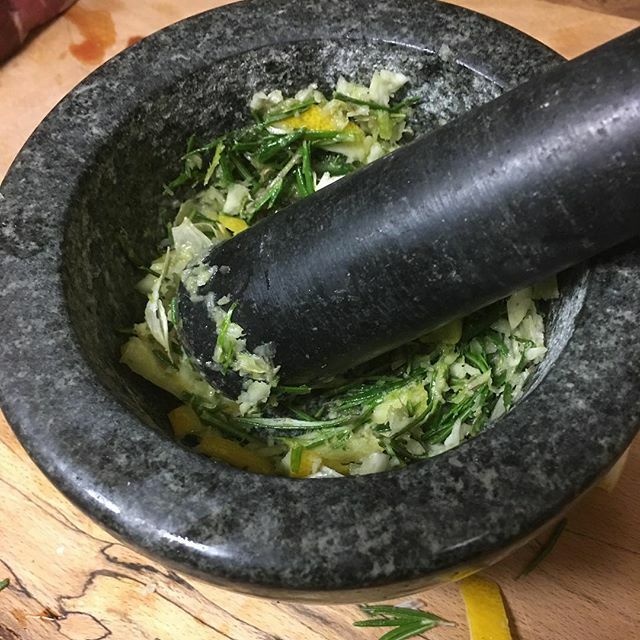 While it’s pretty obvious that you put whatever you want to grind up or break down into the mortar and hit it with the pestle, doing it properly is another matter entirely. A few simple tricks can make a big difference in how effective your usage and experience cooking with one of these ancient culinary tools can be. This short, yet informative video, from Jamie Oliver does a very nice job of explaining how to use a mortar and pestle both properly and effectively. The video is one of a series over on Jamie’s Home Cooking Skills. 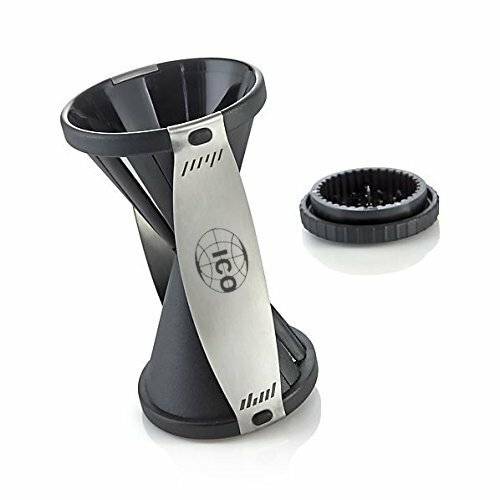 If you’re looking to get your own mortar and pestle you’ll find them in any shop with a decent kitchenware section, or online via Amazon or eBay. I bought an Actifry several years ago. 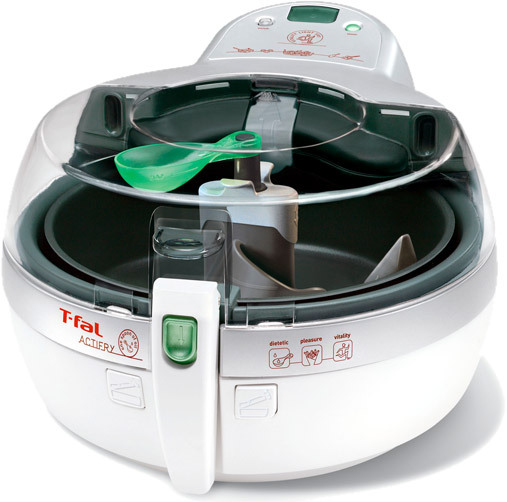 It’s a nice device and solves a problem for me: chips without using a deep fat fryer. I’ve never liked deep fat friers. Unless you change the oil regularly they are really disgusting. Don’t get me wrong, I do enjoy fries, but I try to avoid cooking with vegetable oil entirely. I generally do most of my cooking with olive oil and even then I don’t like the idea of using large quantities of oil for anything. Every now and again I get an overwhelming desire to eat chips. Maybe with a steak, maybe with a burger or maybe with something else. Sure, they’re not the healthiest food out there by a long shot, but there’s no point in being miserable all the time either. I’d also rationalise that cooking my own unhealthy food is better than taking a shortcut and going to a local chipper. So this week I’ve succumbed to my desire for chips a couple of times. 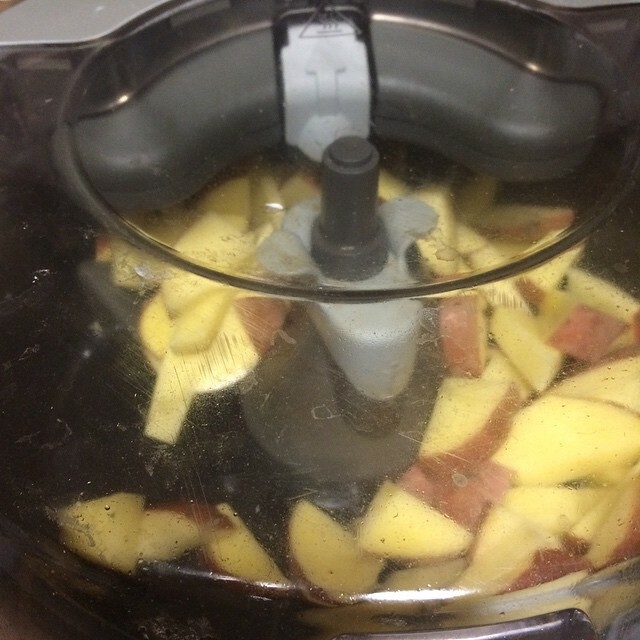 I don’t use frozen chips – I prefer to make my own. So I’ll buy potatoes, peel them and slice them before cooking them in the actifry. Why am I even writing about this? Well I guess it’s partially my way of dealing with my own “guilt”. I’m currently not travelling, so I’m able to cook my own meals and control what I eat and drink. While I know I’ll buy some fresh kale later today, as well as plenty of fresh fruit and vegetables, I also feel that I need to be realistic. 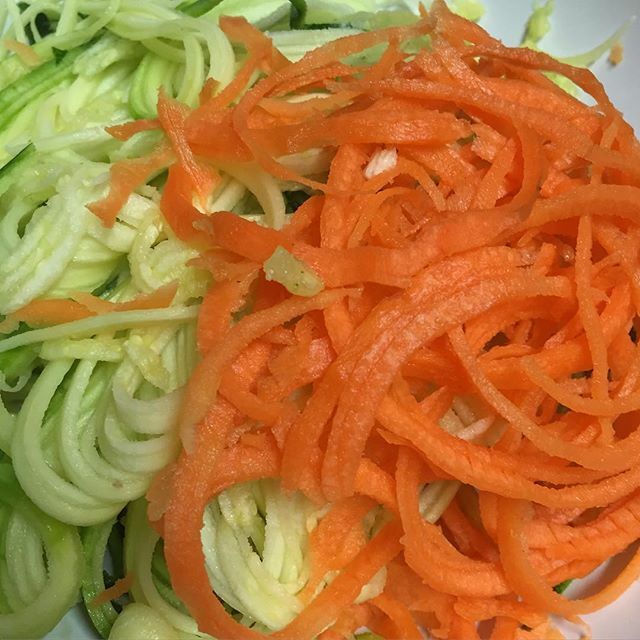 I don’t eat 100% healthy food 100% of the time, but when I’m cooking it myself I do my best to use good quality ingredients. Over the next few weeks I’m going to be making lots of fresh soups, stews and salads. But I will still have a nice steak from time to time. I’m a big fan of kale. 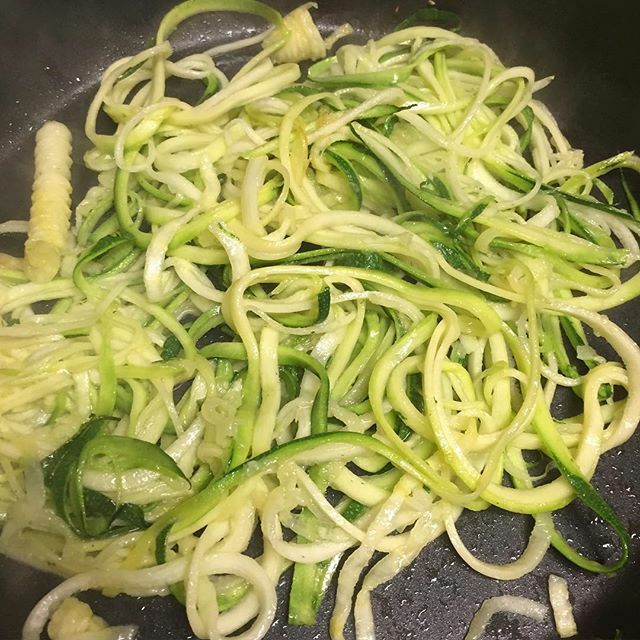 It’s a very tasty vegetable and it’s also full of important nutrients – it’s got a lot of vitamins, iron and other things. Combining kale with some other vegetables can do a good job of replacing carb heavy sides, like potatoes, pasta or rice. 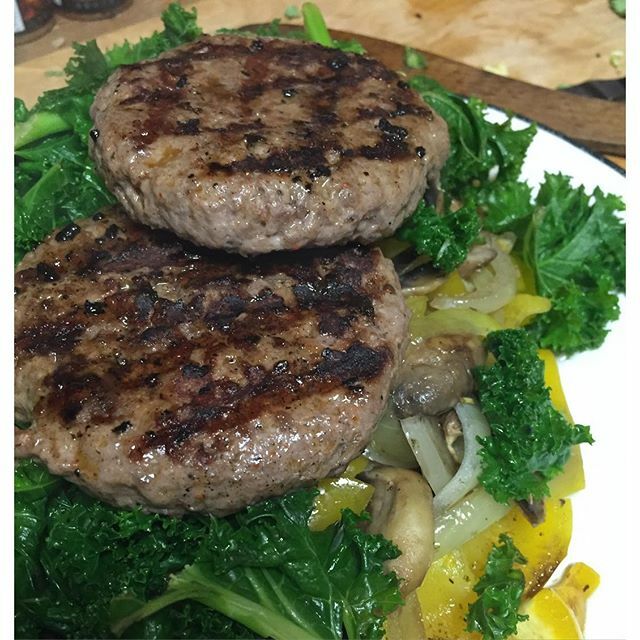 Earlier this week I had a wonderful fillet steak for dinner one evening and fresh beef burgers another. While it was tempting to serve the meat with some for of potato I opted instead for a vegetable sauté. 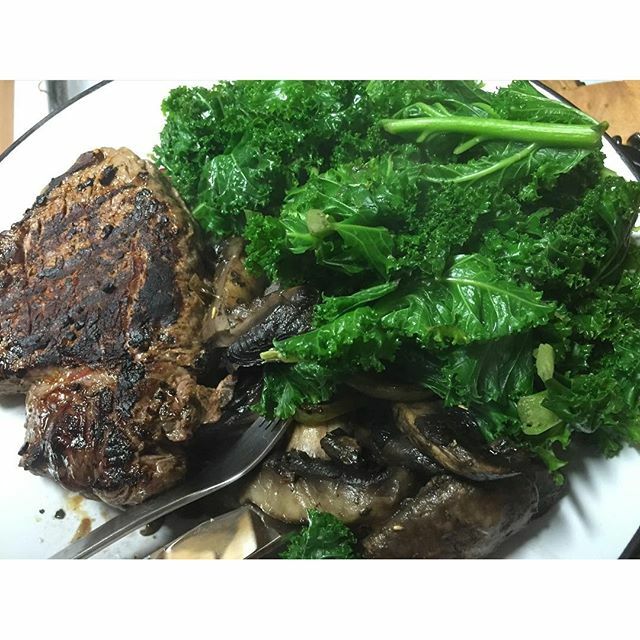 Onion, garlic, chilli, mushroom and pepper sautéed and then cooking the kale in the pan with some water gave the kale a rich taste. I nearly always grill meat on my George Foreman grill, as I like the taste and also find it to be a better option overall. With a good quality steak the grill will seal the meat for you nicely, while in the case of burgers grilling can be a good way of keeping the excess water, fats and other stuff that comes out during cooking away from you. Admittedly if you’re buying fresh, good quality burgers the amount of excess rubbish that comes out during the cooking process is minimal, as a good quality butcher bought burger is probably going to be made of reasonable quality meat. Frozen burgers, however, are horrendously bad.